With as many times that we have, today alone, watched Disney Planes, I figured that it’s appropriate to be sharing some new Planes news! There is a new trailer for Disney Planes: Fire & Rescue – one that we’ve watched roughly 30 times in the past couple of days. Bubbles begs me to play it every time I pick up my laptop. Bubbles isn’t the only excited one in the family. I love that not only are they doing the sequel, but that they’re doing it so fast! So often you have to wait years for a follow up to something great, but not this time. 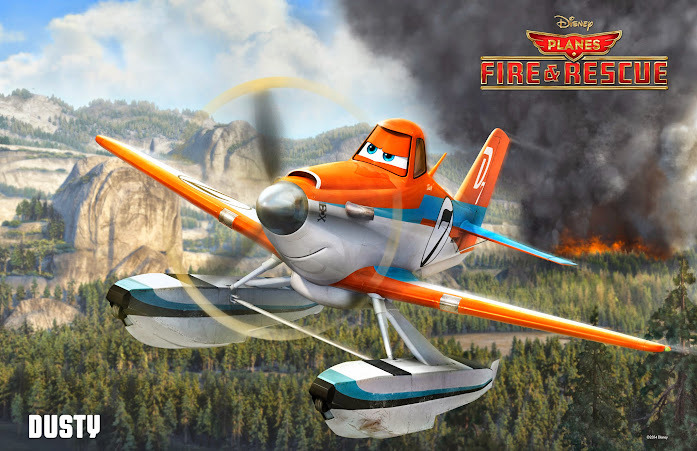 Planes: Fire & Rescue will be in theaters on July 18th. Our old friend Dusty (voiced again by Dane Cook) returns to Propwash Junction excited about his racing career. But when a fateful training run causes a career-ending injury, he decides to train with the Aerial Fire Fighters at Piston Peak Air Attack Base as a Single Engine Air Tanker (SEAT). The heroic, often life-threatening efforts involved are admirable, but sometimes seem impossible to master, especially when Dusty has injury that can’t be ignored. 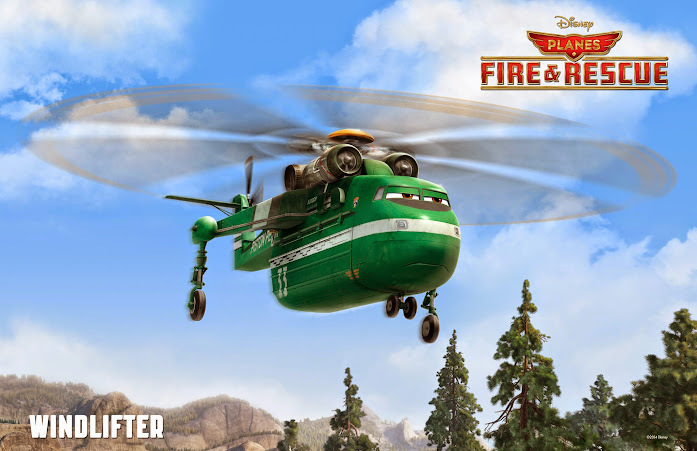 Blade Ranger (voice of Ed Harris), a veteran fire-and-rescue helicopter, who heads up the Piston Peak Air Attack team. Haunted by a storied past, he’s a tough and demanding air boss with a wry sense of humor, and he’s not exactly enthusiastic about his new trainee Dusty. Outgoing and spirited super scooper Dipper (voice of Julie Bowen) is skilled at skimming lakes, scooping up more than 1600 gallons of water and dousing angry fires. 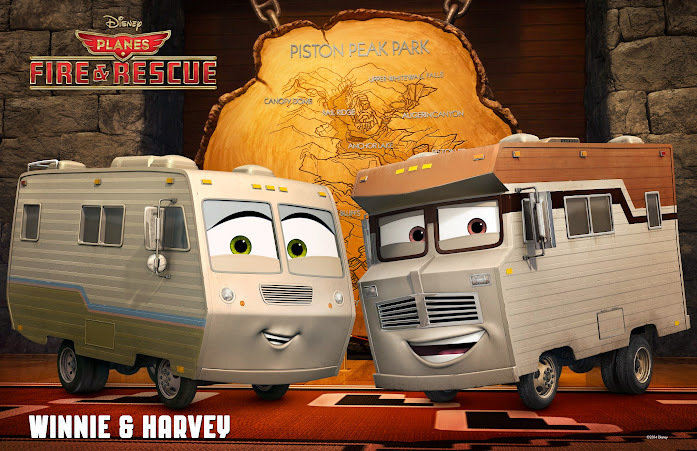 A former cargo hauler from Alaska, Dipper is an avid air racing fan with a major crush on headline racer Dusty, so she’s head-over-wheels with excitement when the new SEAT shows up at Piston Peak. Windlifter (voice of Wes Studi) is a heavy-lift helicopter who can hoist dozens of trees or a huge tank of fire retardant. The American Indian’s wisdom is vast — he’s chock full of fire folklore, and his connection to nature allows him to sense fires before they’re even spotted. The former lumberjack became a firefighter to help others, and no mission is too big for Windlifter. A jolly old ex-military transport plane, Cabbie (voice of Dale Dye) used to drop airborne utility vehicles behind enemy lines in Korea. Now he drops smokejumpers at Piston Peak — it’s a lot like combat, but nobody’s shootin’ at him. With a payload of 10,000 pounds and a maximum takeoff weight of 74,000 pounds, Cabbie can carry the smokejumpers up to 2,000 miles away. The Smokejumpers are a fearless team of grounded firefighters, led by the strong and sassy Dynamite (voice of Regina King) — so named because you don’t wanna set her off. Pinecone (voice of Corri English), equipped with a rake tool to clear brush and debris, is an easygoing southern soul. Avalanche (voice of Bryan Callen) earned his name after triggering a massive slide, but the bulldozer — who coincidently lacks an “inside voice” — claims he was nowhere near that snow bank. Tough and over-eager Blackout (voice of Danny Pardo) once accidentally sawed down an electrical line, cutting power to the lodge for weeks and sending shockwaves through his short-term memory — or at least he thinks so. Drip (voice of Matt Jones), an outgoing dude who’s always leaking oil, uses a skid-steer claw to clear fallen trees and brush. The Secretary of the Interior (voice of Fred Willard) has many responsibilities, but none is more important than overseeing the National Parks. This rugged outdoorsman loves being in nature; he spends most of his time away from his office in Washington, visiting the National Forests and Parks and helping to spread his message of conservation. Harvey (voice of Jerry Stiller) & Winnie (voice of Anne Meara) met many moons ago when Harvey was the manager of an RV tire store and Winnie was his showroom model. The loving couple travel to Piston Peak Park, where they celebrated their honeymoon 50 years ago. By 1978, Nick “Loop’n” Lopez (voice of Erik Estrada) was America’s favorite helicopter cop, featured on TV’s CHoPs, a show about two California Helicopter Patrol choppers. Nick, the troublemaking macho young officer, got the nickname “Loop’n” from his signature inside loop, which no other helicopter could perform. So, to recap: Dusty is back (yay! ), Ed Harris is voicing a character (squee! ), and Disney managed another homage (Erik Estrada and “CHoPs”), which I love. Can’t wait to take everyone to see this! 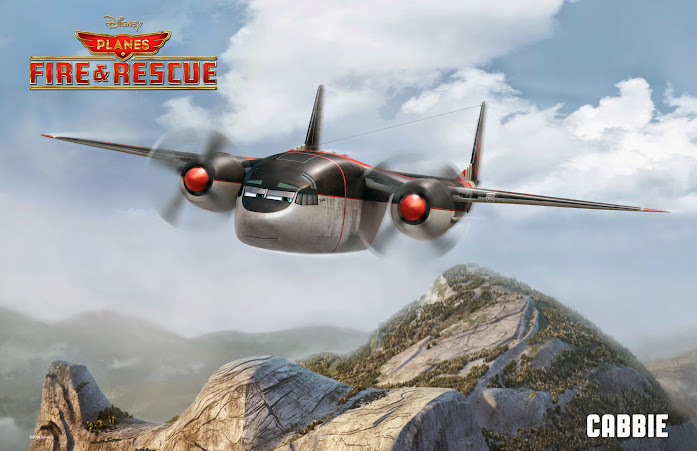 Don’t forget to follow Disney Planes on Twitter for more updates! 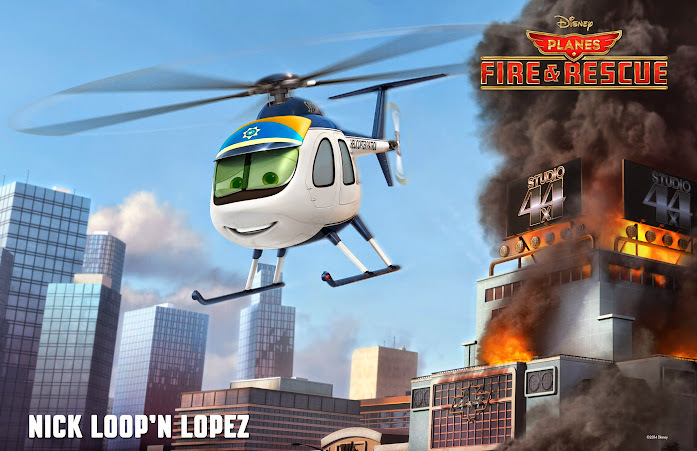 Which new Planes Fire and Rescue character is your favorite? Disney Winnie the Pooh Springtime with Roo and Homemade Playdough “Carrot” What’s Your Favorite TV Show? Chat About It On Beamly!